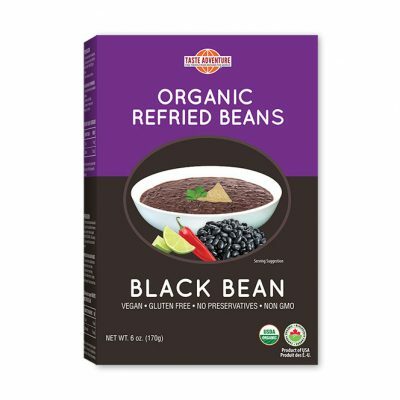 Delicious Home Style Refried Beans- Just add boiling water and in five minutes Taste Adventure Refried Beans are fully cooked and ready to eat. Whole beans are sorted, washed, soaked and cooked the way you would do in your own kitchen. As soon as the beans are ready to eat, they are carefully dried and flaked to lock in the full flavor and freshness. Taste Adventure Refried Beans are a delicious side dish to accompany your favorite Mexican food dishes. 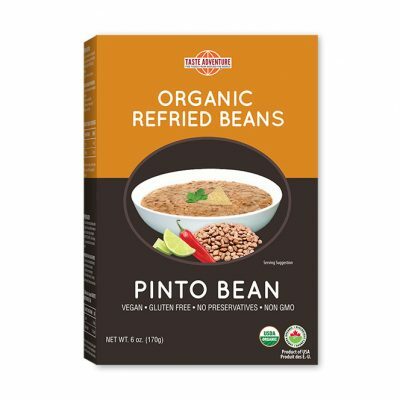 They can also be used in a lot of quick and easy recipes such as burritos, enchiladas, tostadas, bean dips, tostada pizza, vegetable soups, breads, spreads and more. 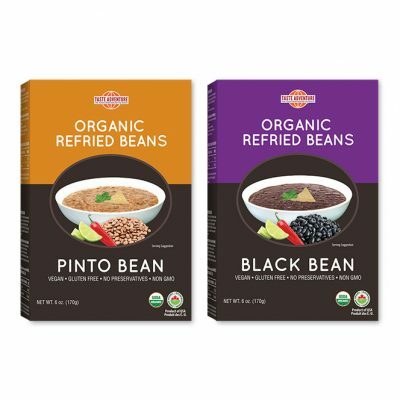 They are so delicious, nutritious and easy that you will always want to use Taste Adventure Instant Refried Beans.